It is not as simple as it sounds. 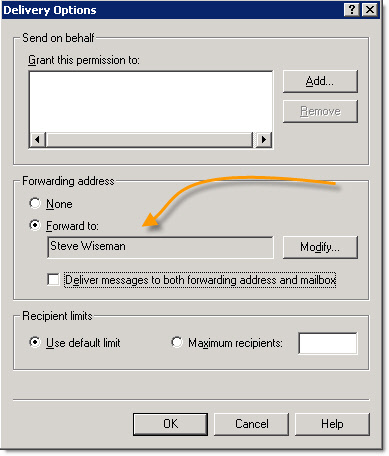 You have Exchange, and want forward to an outside email address. 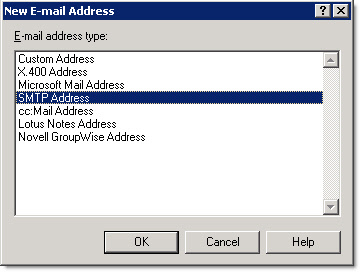 With some other email servers, there is a one line entry where you can add an external account. Not so with Exchange. Lets me walk you through it. Click Next, and see that empty email address with the button next to it? 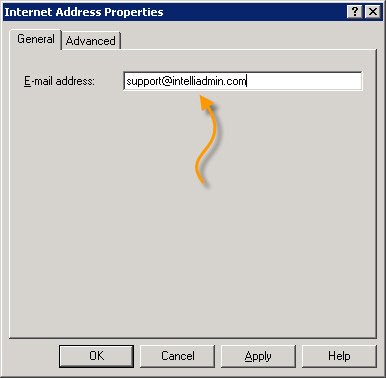 Click OK, and you can enter the external address you want to forward the mail to. 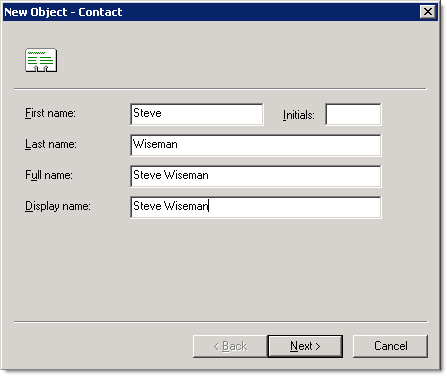 Click OK. Now you have your contact. What Next? It depends on what you want to do. 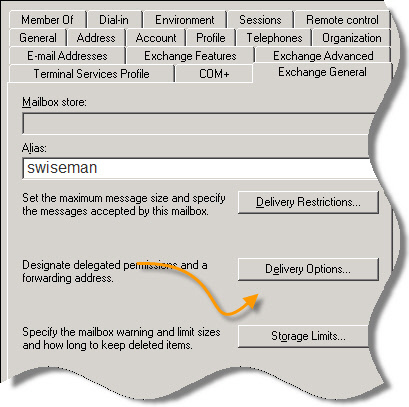 If you want to simply forward email for an existing user…simply go to the properties of that user and get to the “Exchange General” tab. 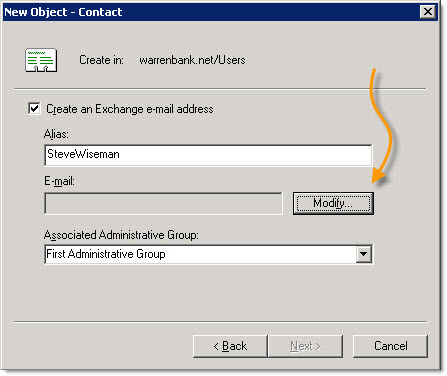 If you want to forward email via an internal account, then create a dummy user account and create a mailbox for it. Then go to the “Exchange General” section of the properties of that user. Click on the delivery options button. Now. Click OK on all the boxes. Does it work yet? No. You need to wait a few minutes before Exchange will process all the changes. Keep that in mind when testing – or you might pull all your hair out.